Lots of fun stuff happening over here! First of all, this week is QuiltCon 2016 in Pasadena, CA. I'm thrilled for several reasons, one of them being the cool classes I'm taking, including my first long-arm class! I'm excited to see friends and meet new ones, hopefully. And of course, I can't wait to see the one and only Gwen Marston as the keynote speaker this year. But... it's also the first time I have a quilt hanging in the show! I'm extremely giddy to see "Pixels" hanging on the wall of a show... it will be a special moment for me, for sure. More on this soon! Secondly, my latest class on Creativebug is out! The Perfectly Pixelated Jelly Roll Quilt is a great beginners quilt top project. 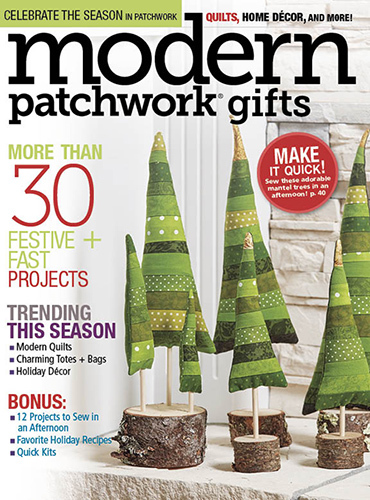 It features my favorite chain-piecing technique, and explores how to use a design wall to map out your design. If you haven't signed up to Creativebug yet, now's your chance. They're offering a free month subscription if you use the code MSTAR. What are you waiting for? Just head over and check out their instructors and classes if you don't believe me about how amazing it is. Thirdly, I'm so pumped to be writing a monthly post for the Dear Handmade Life blog. 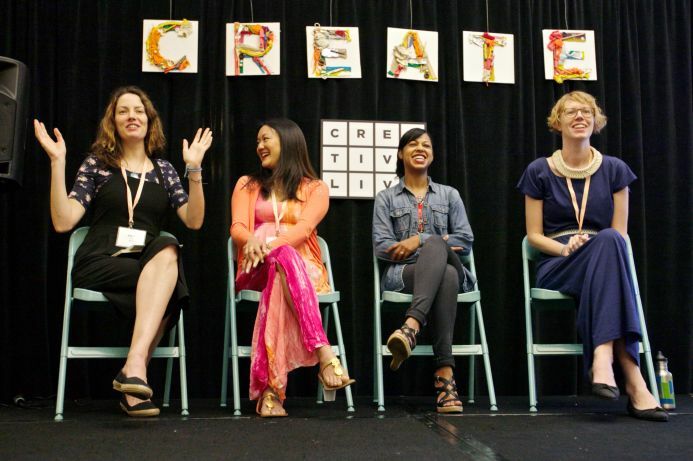 If you're not familiar with this website, it is one of the many glorious brain children of Nicole Stevenson and Delilah Snell, of Craftcation and the Patchwork Shows that I participate in and love. 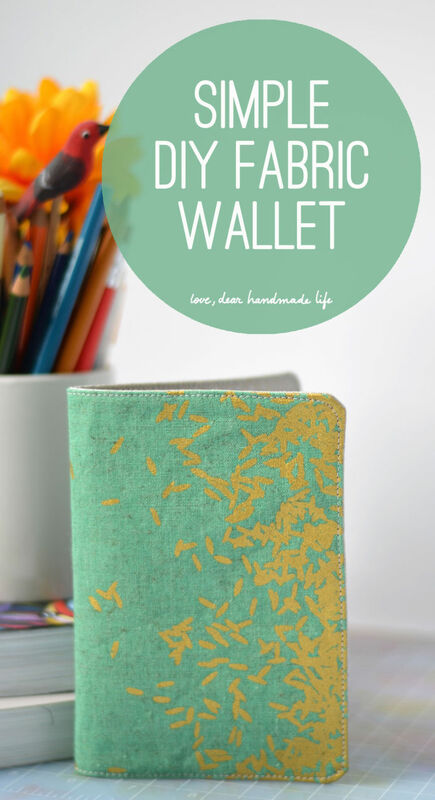 Check out my maker profile and see my first DIY post, this super sweet and simple fabric wallet. And on the personal project side, I can finally share this baby quilt that I made for my dear friend’s new baby boy. I used these delicious constellation and moon phase prints from Moda, and love both the random chaos and occasional order that the half square triangle design created. I have an image of him, as he grows, staring at the triangles and squares and finding new patterns and different shapes each time. I just love this quilt, and I hope he does too.And don't forget, registration for Craftcation is open! There are more babies in my life right now than ever before! And that’s saying something, because I remember one year at my school in Spain when so many of my colleagues were pregnant --something in the water, they said-- that when those little guys reached school age, they filled almost an entire preschool class! Well now it’s January 2016, and it seems the baby-having has ramped up again. I can’t seem to throw a cat without hitting a newborn or a pregnant friend! And the ones that have arrived recently, boy, are they gorgeous little humans. Who spit up a lot. And are in need of bibs. I suppose I’ve been bib-making for many years now. A few years ago, during another baby-having extravaganza at my school-- this time in San Francisco, and this time by the wives of my co-workers, so NOT school water related, thankfully-- I thought of this simple, customizable, and easy-to-make baby gift. And I’m not kidding when I say they really do make the perfect, easy gift. Using 100% cotton makes them fully washable, totally useable, and extremely soft. If you don’t believe me… try it yourself! By taking my class, Quilted Jelly Roll Baby Bib! I’m super excited about all of my newest classes on Creativebug, but this one in particular is near and dear to my heart. 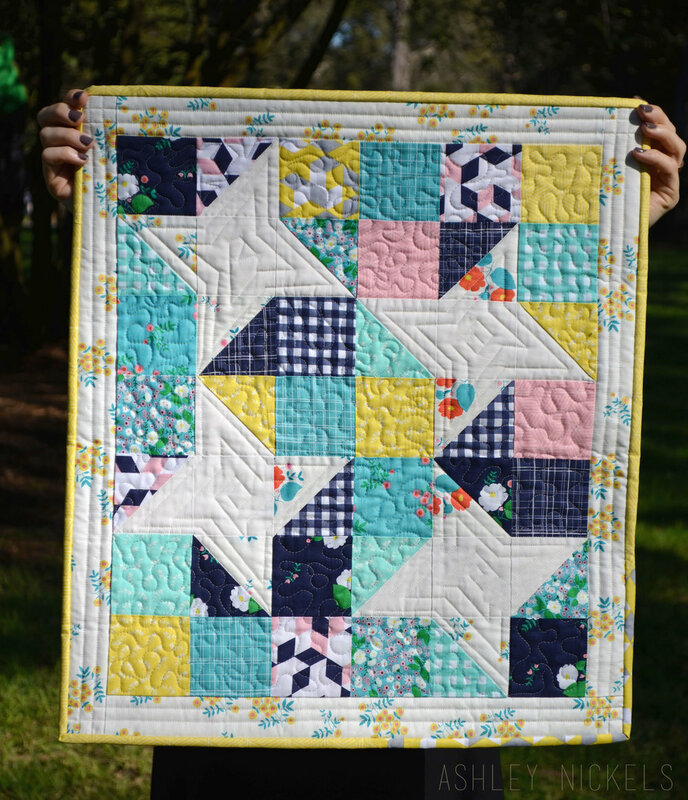 Not only is it extraordinarily fun because you get to use strips from a jelly roll, but it involves making an improv log cabin block, which means that when you make this little guy, you are officially-- gasp-- a quilter! I hope you guys will check it out. What’s more, and perhaps the best part of it all… Creativebug is offering the first month FREE for new members using the discount code MSTAR through 3/31/16! So, if you haven’t tried Creativebug yet, this is your chance. AND! I’m so honored and excited that this class is part of an exclusive offer with Missouri Star, who is offering the Mojito jelly roll (the one I used for this class) as their Daily Deal on Friday, January 15th! By the way, if you don’t know about Missouri Star, check them out here, or read what Abby Glassenberg just wrote about them over here. 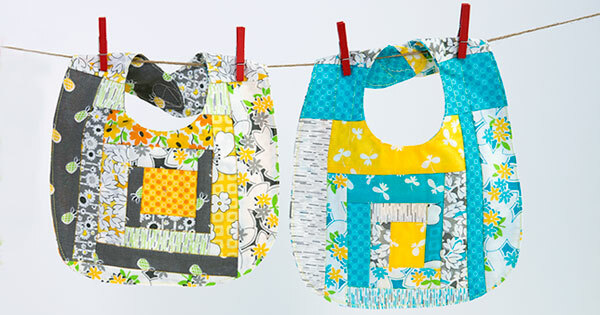 Happy baby-having and bib-making, world! May always feels like a very family-oriented month to me. My dad, my sister, my brother-in-law, and BOTH of my nieces celebrate their birthdays this month. And to top it all off, it's Mother's Day! I seem to be the only one who doesn't get some love this month. Unless you count a 1/2 birthday. But who (above the age of 13) celebrates a 1/2 birthday...? In any case, I have a LOT of cards to send this month. Just in time for the familial festivities... I'm excited to share a project that my mom and I have been working on... a Mother-Daughter Quilting Class! Many of you know that my mom is a professional quilter, and travels near and far in order to spread her knowledge of quilting. Teaming up with Creativebug allows students to gain access to her classes from the comfort of their own home. To top it all off, the video workshops are stunning! 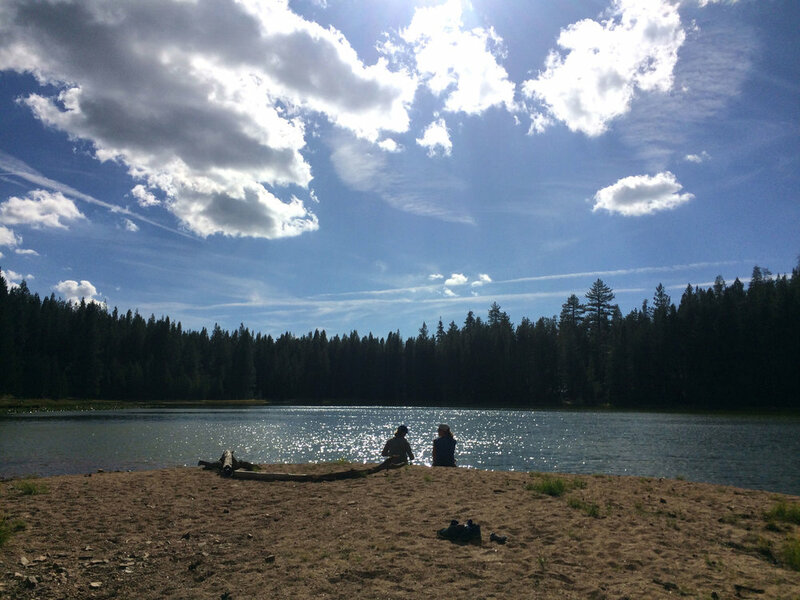 This past month, I had the pleasure of joining the Creativebug party. In our class, we explore the differences between modern (me) and traditional (my mama) quilting by making two different quilts using the same color palette. We give step-by-step instructions on how to make both quilts, and give video and PDF instructions. Yep, that's right. Two for one! The fun part about the class is that you can not only learn how to piece together both quilt tops, but you also get the added bonus of learning several machine quilting techniques. And considering we are both from the Midwest... there's a lot of smiling! Here is a quick look at the filming. It was oh-so-fun! And here are the quilts! 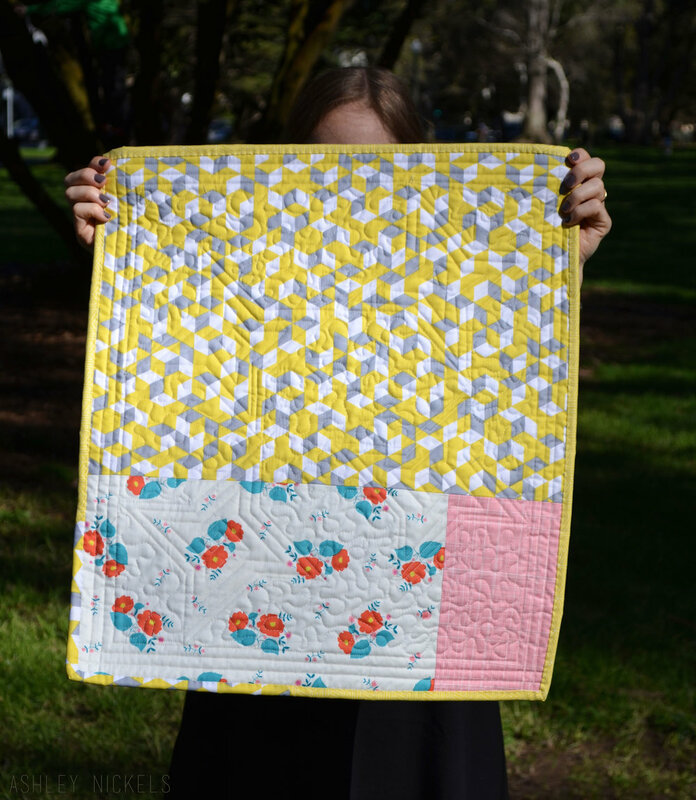 Check out the Mother-Daughter Quilting class on Creativebug! Also, browse all of the other amazing classes, and consider a subscription or even a free trial! You can't go wrong. Back in October, when I was at the Pacific International Quilt Festival, I bought MORE of Heather Ross's delicious Briar Rose prints. Did I really need more? Well, duh! YES I needed more! You always need more! As it turned out, that extra yardage was the cloth that broke the camel's back. And by camel I mean the crappy Ikea cabinet where I store my fabric. My shoe-box-sized fabric closet could simply not hold another chunk of fabric, beautiful as it may be. I was faced with an age-old problem: Where to PUT all the fabric?! So, big surprise here, I decided to make a storage satchel that was eye-pleasing enough to be left out on a shelf. As far as the rick rack goes... I thought... "Oh, go on, Ashley, why not?" And that was when I decided to put rick rack on EVERYTHING. 'Tis the season to be sniffly, am I right? And that tissue box is kind of an eye sore. Why not add a little sass to that box o' pañuelos, your most commonly used household item? One 19” x 8” rectangle of fabric for exterior. Written instructions following the photos! 1. Iron-on interfacing to the back of both rectangles of fabric following the manufacturer's instructions. 2. Take one rectangle and fold in half, “good” side in. 4. Repeat for the liner rectangle. 5. Box the corners using the actual tissue box and a pencil to mark where you will sew. 6. Sew 1/4" outside the pencil line. Trim the extra fabric as seen in photo. 7. Turn lining fabric so the “good” side faces out. 8. 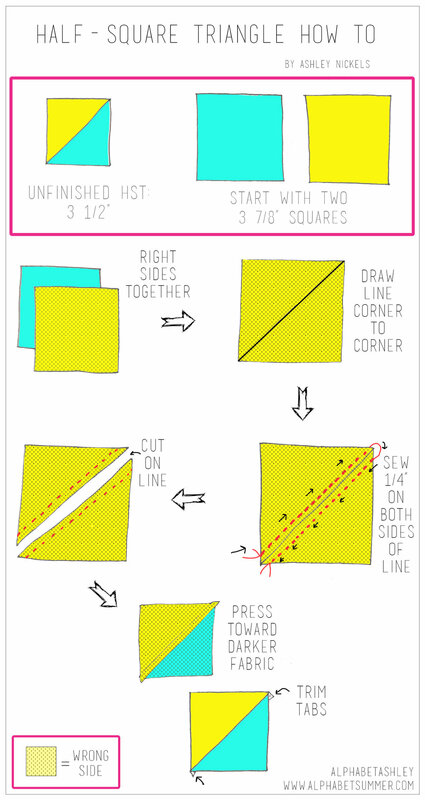 Insert the lining “box” into exterior “box” so that the “good” sides are facing each other. Be sure to line up the two sewn edges. 9. Place rick rack between the two layers at the top edge, pinning as you go along. Be sure to leave a tiny bit of the rick rack sticking out. 10. Starting about 3 inches from the sewn edge, sew. Be sure to be less than ¼ inch from the edge, leaving about 3 ½- 4 inches open for turning. 11. Turn. It might fight with you, but don’t give up! 12. Iron the edge flat, particularly where the open part is. Pin this area closed. This might take some finesse, but it should blend in nicely. 13. Sew a finishing stitch along the edge. 14. Tie-off the loose threads. You'll notice all different shapes and sizes, too! 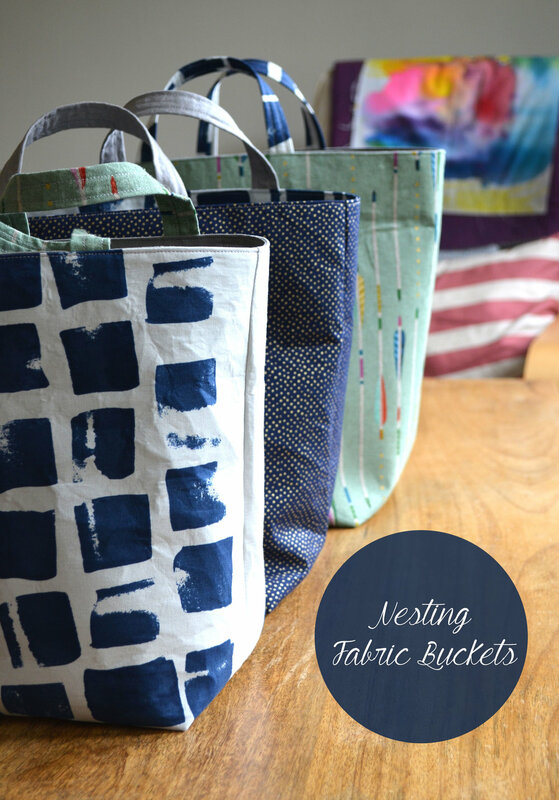 They're great for storing loose change, for gathering buttons, or even for collecting rouge threads. Anyone recognize that Amy Butler print?